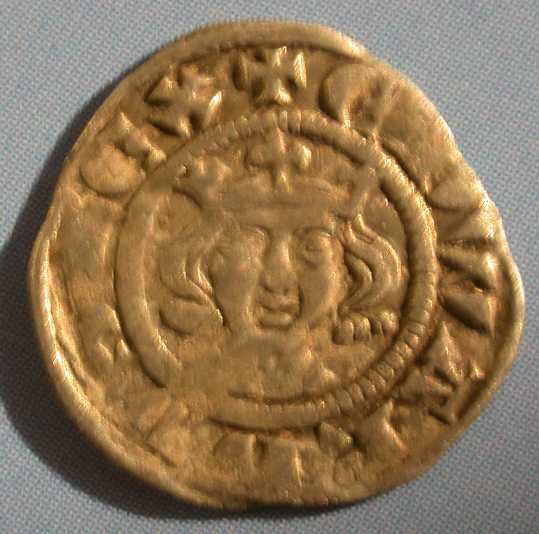 These coins mark the start of a revolutionary coinage reform by Edward I. Until this time, the penny was the smallest denomination. Low value transactions could be conducted using barter or when required, it was common to cut pennies into halves or quarters to make change. 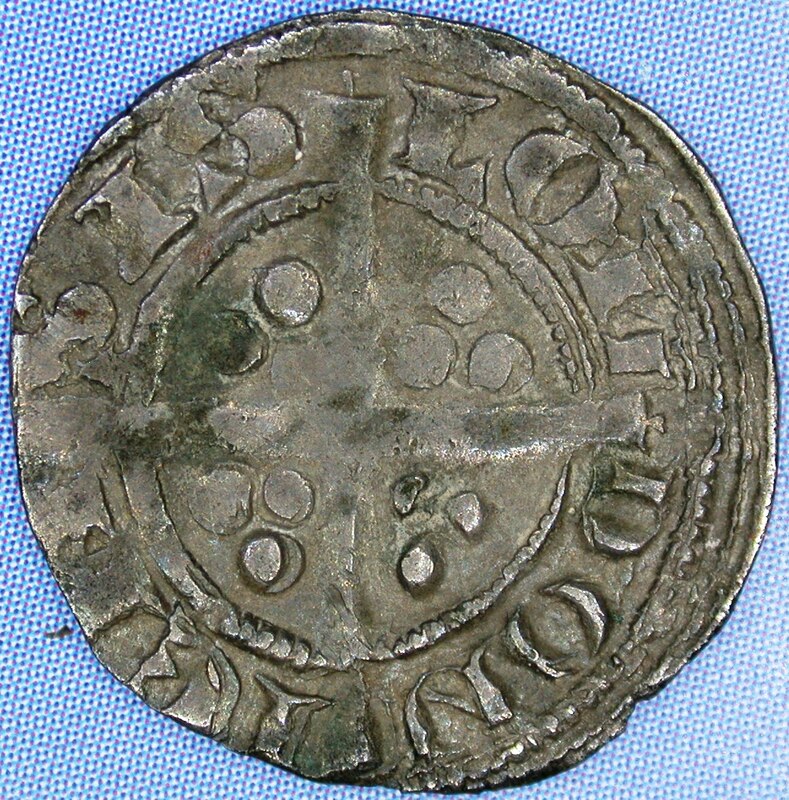 The act of cutting pennies into quarters or fourths was how the word "farthing" (from "fourthing") came about. 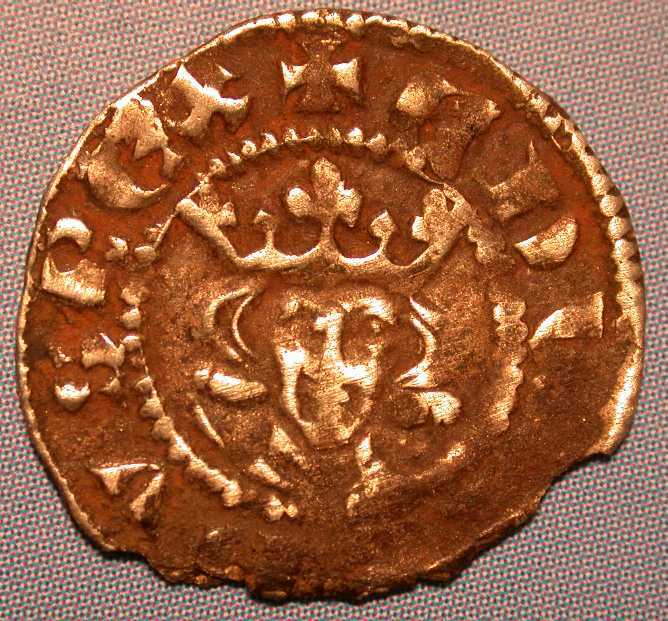 Coins created by cutting up larger coins was practical but not really satisfactory. 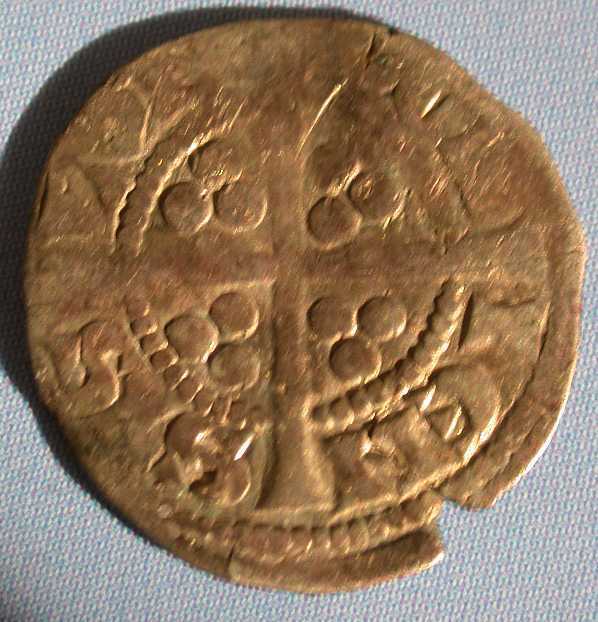 For example, a coin was only worth its weight in precious metal - in this case silver. Variations in cutting a coin could give you slightly more, or slightly less silver than the coins value. 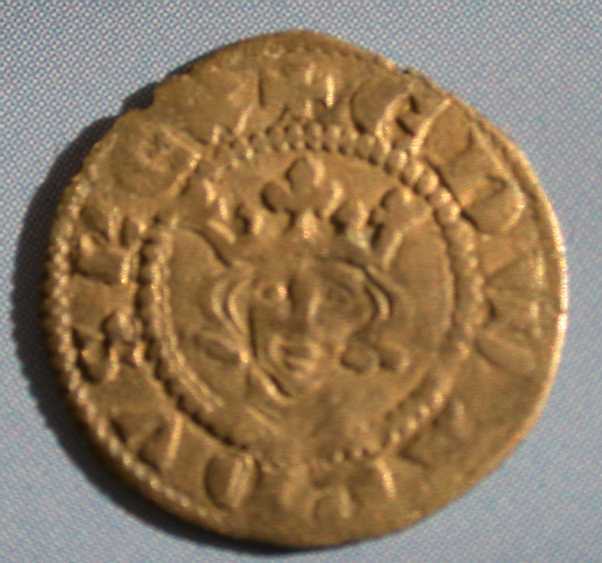 Another problem was forged coinage, produced locally and imported from Europe. 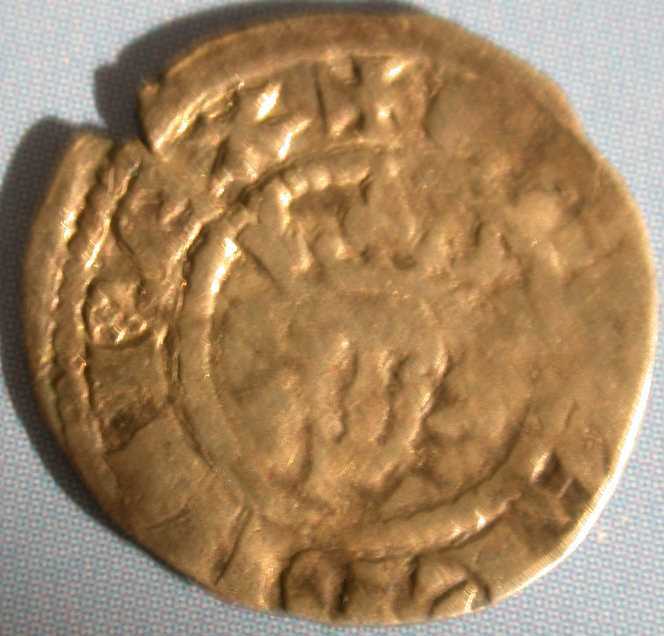 Cut coins can be very difficult to identify - so who could be certain if the coin had any value at all? 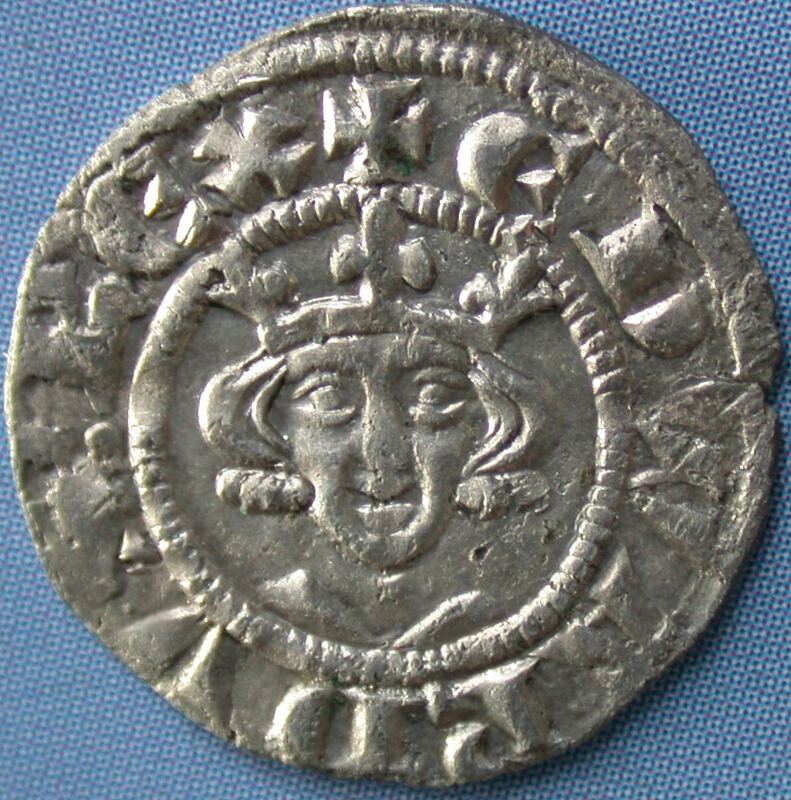 These base silver issue farthings were introduced by Edward I in 1279. 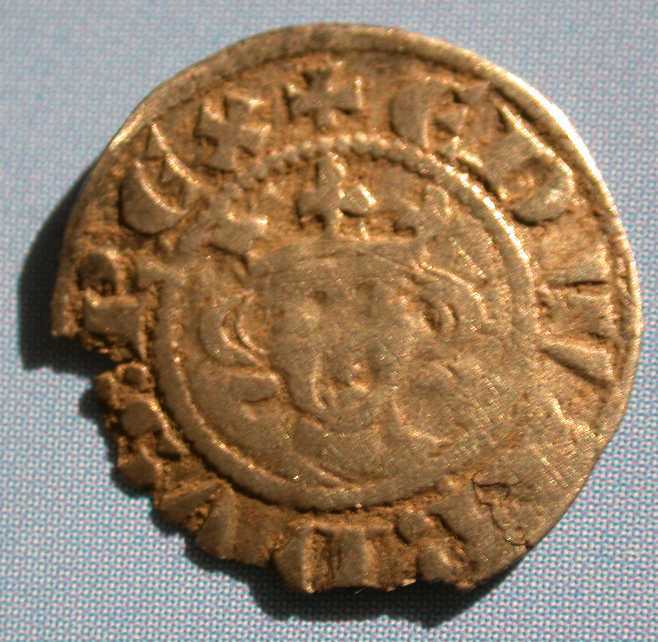 During his reign millions of farthings were struck, effectively ending the practice of cutting coins to make fractional change. 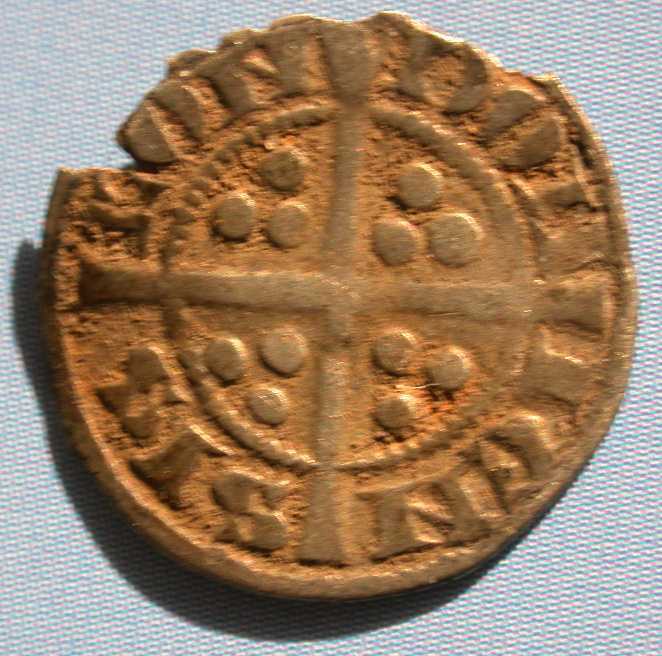 The old coinage and the use of pennies cut into farthings remained legal tender until they were demonitised in August 1280. 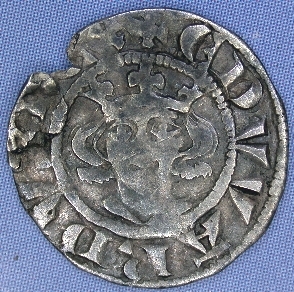 Farthings of this series have large flans (13mm), with an inner circle on the obverse and reverse. 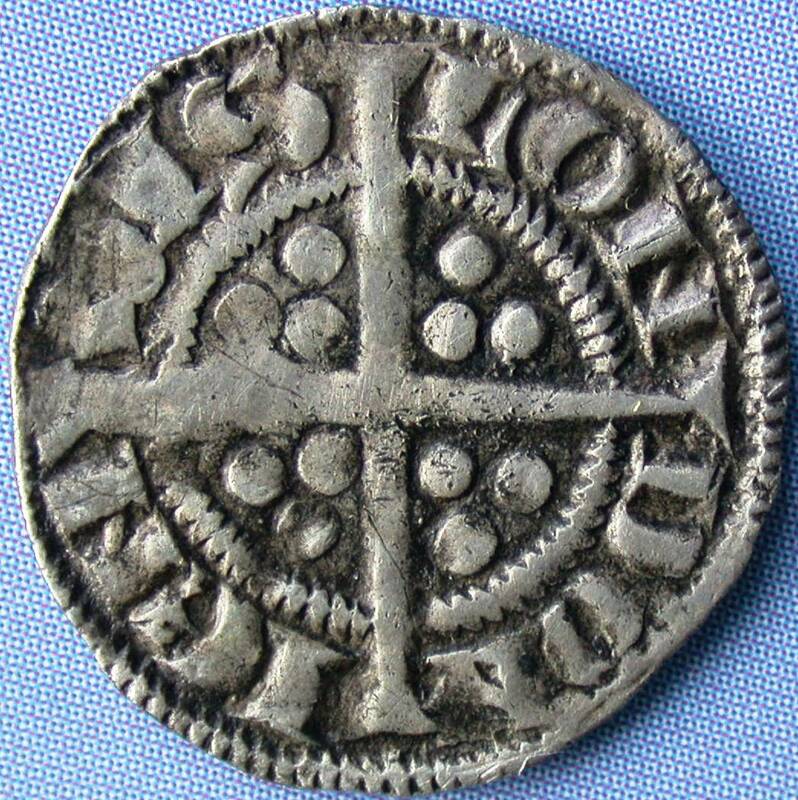 Farthings made in 1279 would have weighed 5½ grains if they had been made from a quarter of the silver used in the penny. 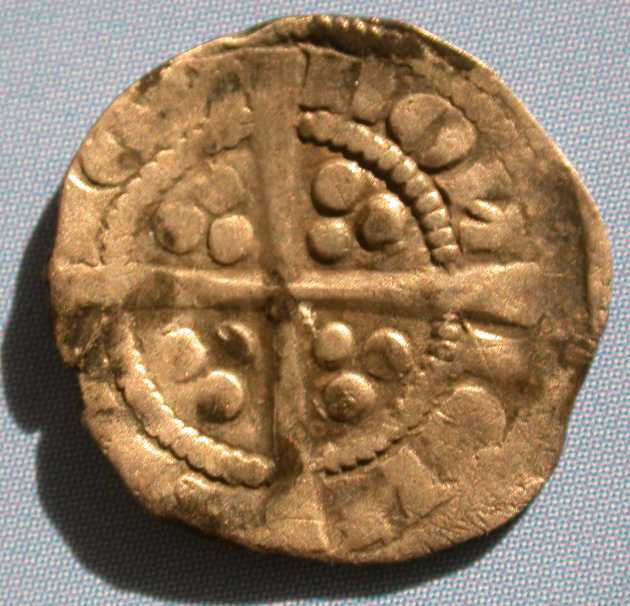 But, to make minting and handling easier, a small amount of alloy was added making the coin larger and bringing its nominal weight up to 6.65 grains. 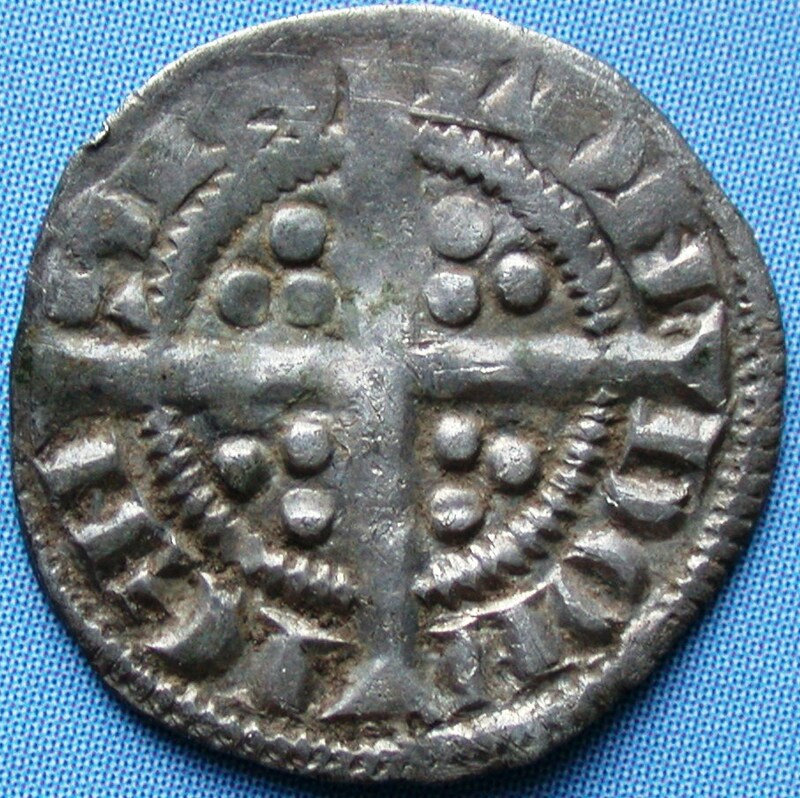 Based on this alloy only 812 farthings were to be made from a Tower pound of silver. 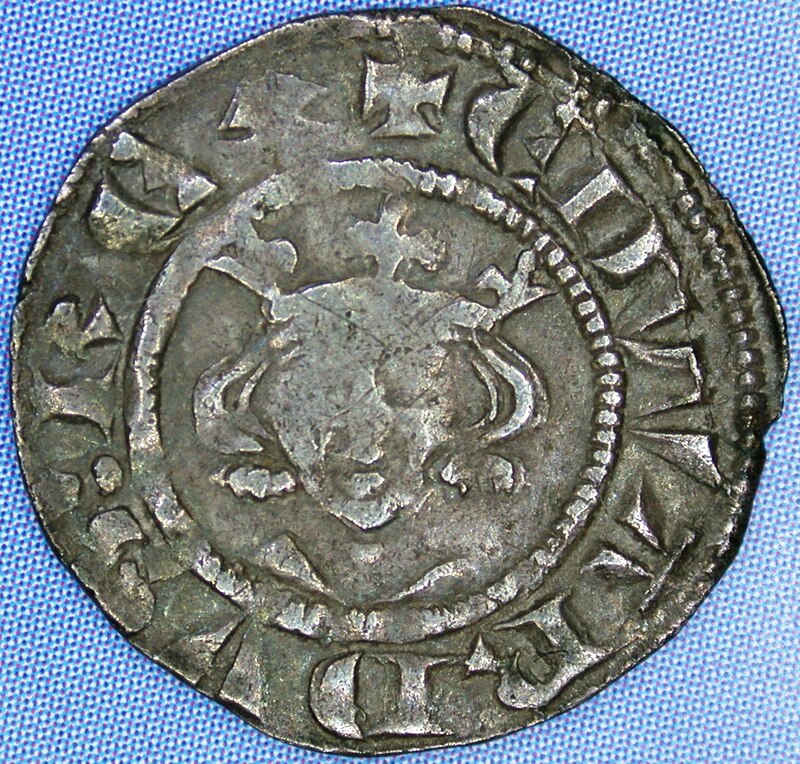 This "alloyed silver" was unpopular with merchants and the following year farthings were made without the added alloy. 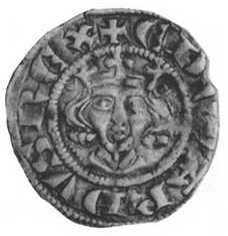 The moneyers had difficulty making coins that complied to the new standards. 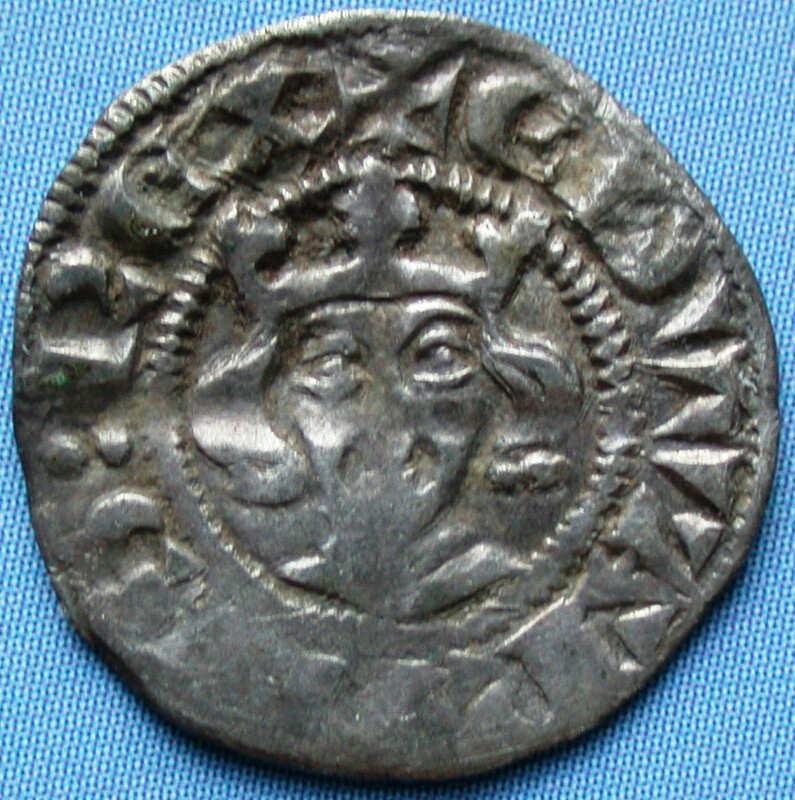 Master Albert, who seems to have replaced Hubert Alion de Asti, made £958 of farthings (more than 1/2 million), of which each pound weighed four farthings less than it ought to have done. 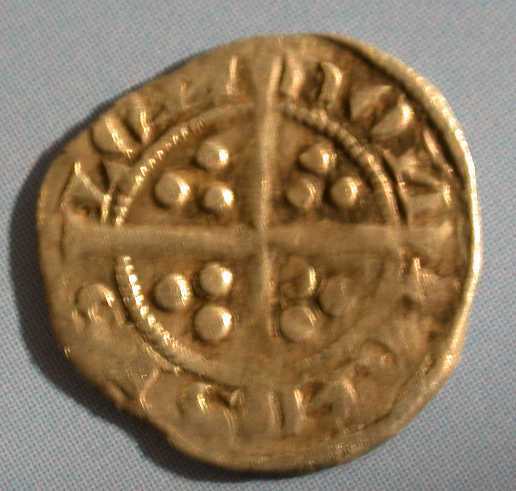 Furthermore, when the first pyx of his work was delivered, the assayer found that £128 14s 11d were deficient. 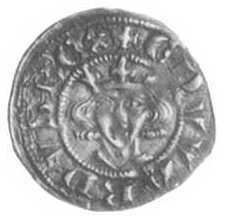 By the time the second pyx was taken, he had improved, but still made £21. 9s. 2d. in weak coins. 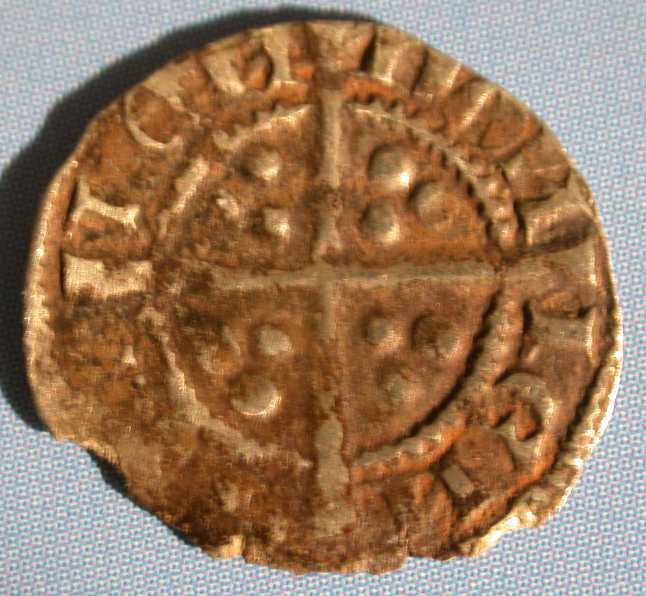 In contrast, his fellow moneyer, William de Turnemire, who minted far more money, was responsible for only £34 19s 3d of poor money. 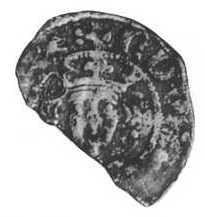 Consequently, the king decided to dismiss Albert and place William de Turnemire in sole charge of his minting operations1. Because of their small size, the blanks for each farthing could not be manufactured by either pouring molten metal into shallow moulds or by cutting slices off metal rods. 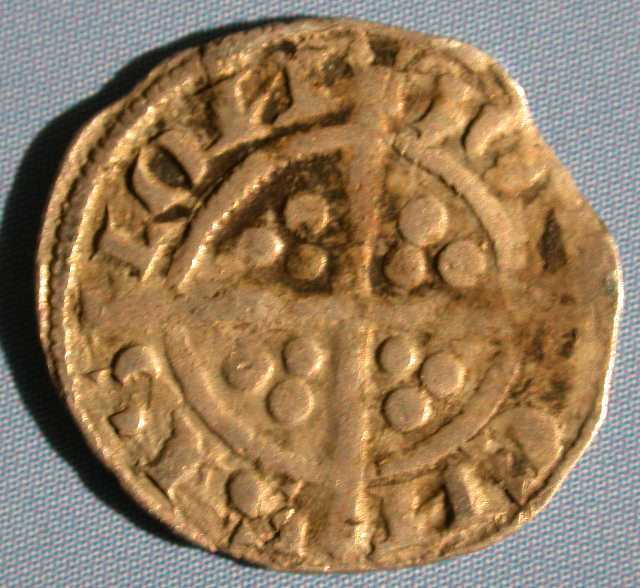 The 1279 farthings were struck on square blanks, cut from a sheet of silver, that were then separated from the blank by means of a cutter of the correct diameter for a farthing. In 1280 a new process was introduced which involved pouring molten silver through a sieve and the drops of silver that were produced (of correct and fairly uniform weight) would solidify as odd shapes in a tub of water. 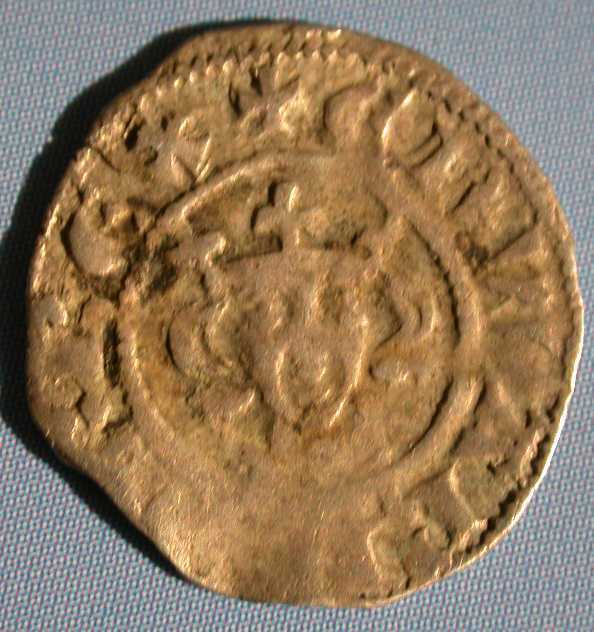 The perfect roundness of the 1279 farthings is quite recognisable from the later type. The two end fleurs are bifoliate (i.e. only have 2 petals at the ends). 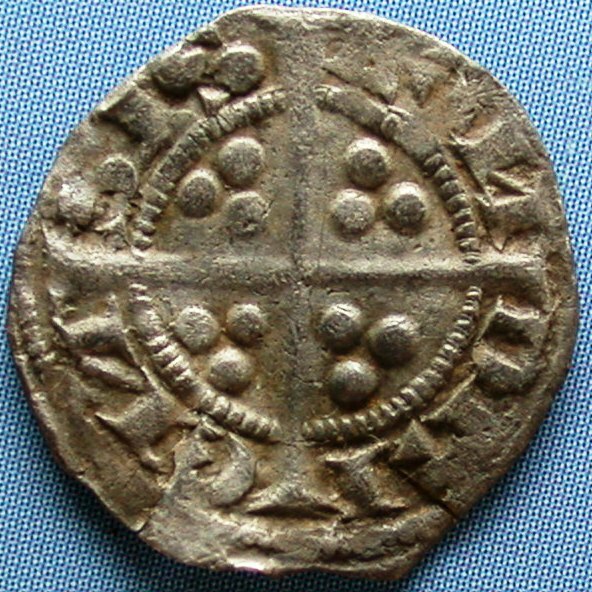 "Long Cross" with three pellets in each quarter. Normal N's. spelling used for London. Produced from one die only. 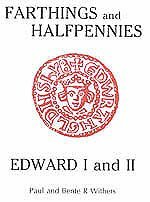 Hawkins states "...probably called LUNDRENSIS, struck according to agreement, made in 1279 with William de Turnmere, master of the mint." (Hawkins, E. The Silver Coins of England, London, 1841, p.96. Crown with trifoliate fleur on the left and bifoliate on the right. on the right. Colon before REX. on the right. Colon after REX. Facing bust within inner circle. Plain crown with three fleurs. Crown with trifoliate fleurs on both ends. No punctuation. spelling used for London. All N's are reversed. Crown with trifoliate fleurs on both ends. Colon before REX. and last N's are reversed. Crown has extra band. Colon after REX. 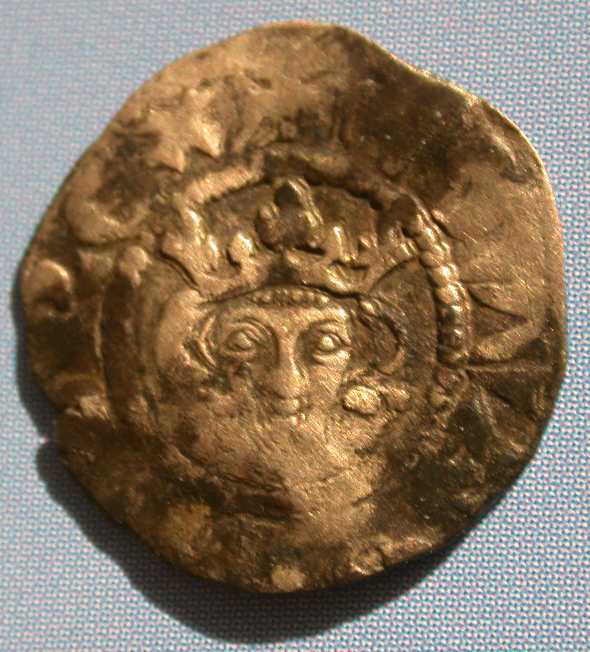 Head visible above band of crown. No punctuation. "Long Cross" with three pellets in each quarter. All N's reversed. 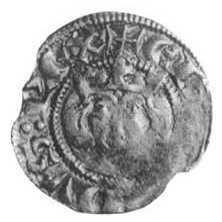 Farthings during this period continued to be struck with a nominal weight up to 6.65 grains. 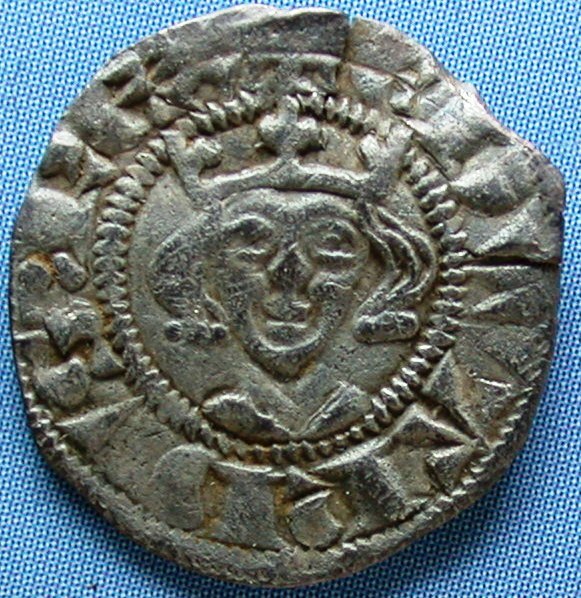 A new indenture specified that a slightly greater quantity of 816 farthings were to be made from a Tower pound of silver (up from 812 the previous year). 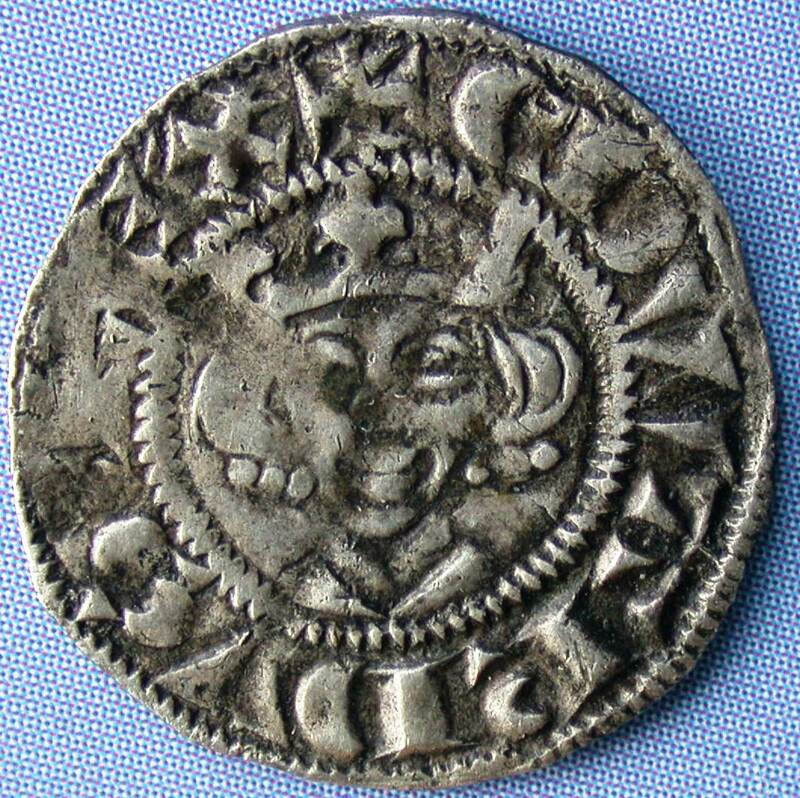 Accounts show that between January 1 and May 19 of that year, 5060 Tower pounds were minted into farthings, resulting in 4,128,960 farthings being struck! between the fleurs. Straight bottom to band of crown. 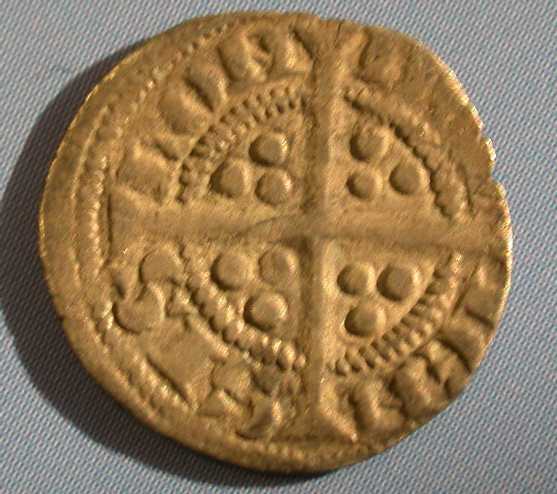 (Feb. 2003) A good example this coin (first photo) was sold on eBay by coritaniad43 for £37. 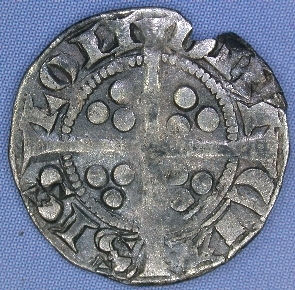 (Jan. 2005) A good example this coin (second photo), weighing 0.38g, was sold on eBay by TimeLine Originals for £14.50. 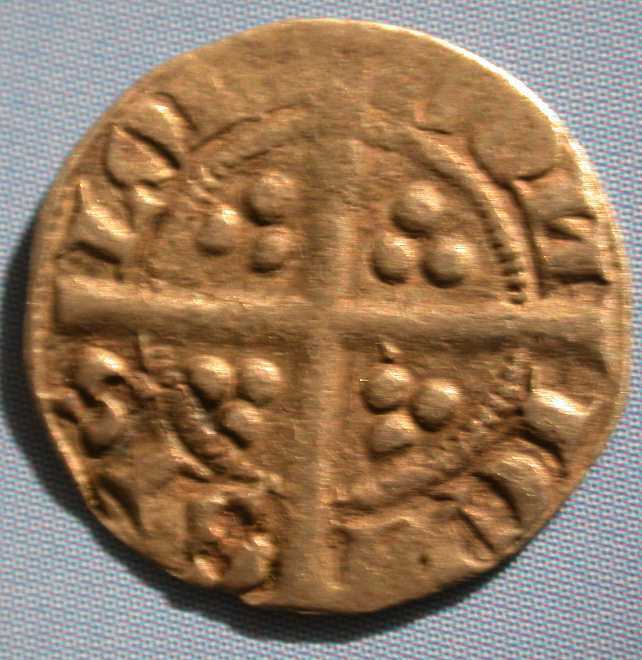 If Edwards' recoinage was to be a success, an enormous quantity of new coinage was required to replace the long cross coinage which was demonitised in August 1280. This vast output required the production of new dies on an almost daily basis, resulting in a gradual modification of the coinage over time. 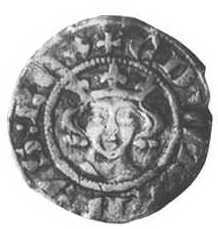 Lincoln was also established as a royal mint during this period, but no farthings of this "heavy" style have been found. These regional mints remained active until December 1281.
curves in. Curved bottom to band of crown. No punctuation.